The three most important biomass sources in Morocco, namely almond shells A0, acorn cups C0, nut shells N0 and their derived solid biofuel respectively A400, C400 and N400 were evaluated with regards to their energetic, combustion and structural characteristics and for their environmental impact. 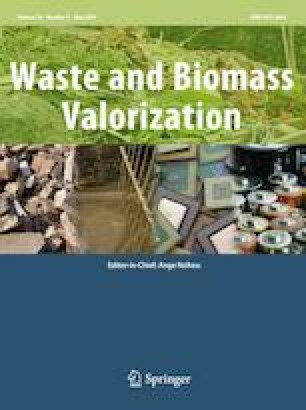 The solid biofuel samples were produced by slow pyrolysis at a temperture of 400 °C for a reaction time of 2 h. Properties, such as combustion process, combustion index, ignition index, calorific value, chemical composition and structural characteristics of biomass wastes and their solid biofuel were determined.The results showed that solid biofuel had better fuel qualities than their parent biomasses, the combustion properties of solid biofuel are influenced by its structure, in fact the more ordered solid biofuel was the less reactive and that in comparison with the studied biofuels, the solid biofuel derived from almond shells was the most suitable for energy generation by combustion. The authors are very thankful to the laboratory LUSAC, Caen University for providing the facilities and for its constant encouragement. The authors are also grateful to Mr.GUALOUS Hamid for his precious help.